If you’re an author who has written a novel in English or Bengali and are looking for a book publisher, take a look at this list of book publishers Kolkata. On the other hand, if your story is in Hindi and you’re searching for Hindi book publishers in India, this post is just for you. 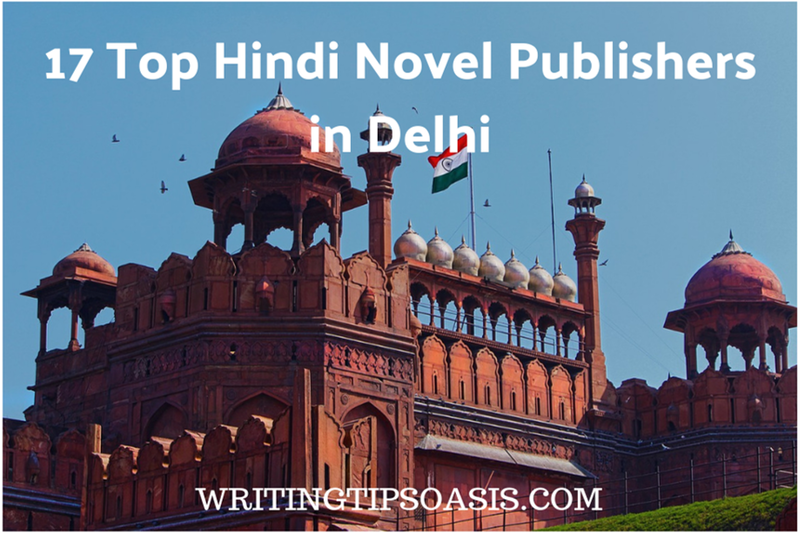 Below, you’ll find 17 top Hindi novel publishers in Delhi. A non-profit publisher in Delhi, Pratham Books have been in the publishing industry since 2004. Children are not encouraged to read beyond study materials. Regional languages have also suffered because of a lack of positive, engaging content for children and kids. According to reports, children in India can’t always read at their grade level. Institutions, donors and organizations regularly donate funds and materials so they can continue publishing interesting material. Children who read regularly and not just in school grow up to be creative, aware individuals. Pratham Books requires fresh, smart content in fiction, non-fiction and creative non-fiction. The story or novel needs to be based in India and can be in any regional language. Hindi, English, Marathi, Bengali, Tamil and Telugu are some of the languages they can work with. Writers and authors can find the submission guidelines and details on this page. Kitabghar Prakashan is one of the leading and reputable publishing houses in Delhi. For the past 50 years, they have worked with promising regional and national authors in various languages. Regional languages and authors have long been neglected by the mainstream publishers. A lot of literary talent has been pushed to the side because English has become the go-to reading language for children and authors. Translations have helped many English titles become popular and flourish in India. The authors they have worked with include Khushwant Singh, Davendra Satyarthi, Nirmal Verma, Pratibha Rai and Amrita Pritam to name a few. Interested authors of Hindi novels, poems and stories can consider filling the online form to submit a manuscript idea. For 30 years, Rawat Publications has continued to produce great works of regional languages and English titles. With offices in Delhi, Bengaluru, Jaipur, Kolkata and Guwahati they have worked with successful authors and writers all across India. An academic publisher, they focus exclusively on social sciences, humanities and environment. Some of the subjects they print and publish include literature, economics, sociology, anthropology, political science, geography and development. They have published 1500 titles so far and only select the best written, researched and edited manuscripts. Authors of Hindi languages and material can submit a manuscript to Rawat. You can find details and information on this page. India’s prolific and leading children’s publisher, Katha has changed the face of storytelling. Founded in 1988, it was primarily aimed as a magazine for children from the streets, from marginalized communities and from lower economic backgrounds. Allowing these children a window into imaginative and relevant stories ensured they get empowered and can think for themselves. Mixing education, morals, stories and ideas in a blend of vivid characters and strong stories has made Katha a success. Nearly one million children have received books and ideas from Katha which means a million minds have been ignited by the spark of reading. Katha has published 400 titles since its inception in 21 regional languages and 12 foreign languages! Writers and authors of Hindi language can send a publishing proposal via email. From 2004, Niyogi Books has worked with some of the best and successful names in Hindi publishing. A publishing house in Delhi with a commitment to regional literature and translations, their books have won several awards. Some of the genres they work on include art, fiction, translations, fiction, non-fiction, biography, children’s books, media, cinema, current affairs, humor, mythology and mystery. They are always on the lookout for local, regional and national authors and writers. Your story needs to have an Indian context or appeal for it to be considered for publication. Find the guidelines and information available here. New or debut authors rarely get the break of their dreams. Especially if you are an author of a regional language. India is a diverse nation with a rich culture. There are several regional languages that have a profound collection of literature and stories ready to tell. Educreation is a young publishing house established in 2011. They want to encourage debutante, emerging authors of regional and local languages to share their stories. A new perspective is provided by people who can understand the nuances of regional literature. The process of submitting your manuscript is simplified by their website. They are currently seeking authors of fiction, non-fiction and poetry in Hindi, English and other regional languages. A purely non-fiction publisher, Vikas Publishing has offered critical, sharp writing on various subjects. Headquartered in Delhi, the publisher has had years of excellence in printing books on topics such as humanities, social sciences, autobiographies, biographies, memoirs, business, self-help, development, economics and education. Several Indian authors have partnered with them to create bestselling novels and books. They have published over 1200 titles and provide academic reading materials to universities, colleges and schools. Authors are often experts, professionals, researchers and teachers of their particular field thus giving them a mastery over the subject. In-depth research and knowledge is expected before they consider accepting your manuscript. You can find the Book Proposal Form available for download and mail it to them. Authors and writers of Hindi language can also write for them. In 1934, Allied Publishers was launched by M. Graham Brash. It was only in 1947 after Indian Independence that R.N. Sachdev took over the company. Under Indian management and ownership, the company acquired a new direction. It began to look at local and national authors who could speak to the citizens. For the past 70 years, they have worked in tandem with multiple authors, writers and teachers to create educational materials, reading and content for students and children. Collaborating with experts and renowned performers, artists and celebrities they have merged the real and the education world. Some of the subjects they have worked on include self-help, India, biographies, memoirs, food, culture, popular studies, motivation, art and craft, academics, plays, prose and poetry in Hindi and English. They are currently not accepting submissions but you can contact them via email for further inquiries. For the past 70 years, Hindi Sahitya Sadan has been supporting Hindi authors and writers. True to their name, they only tried to work with the best of the Hindi literary world. Regional authors have to try harder than their English counterparts as the charisma of local literature was fading. But now thanks to several translations and the efforts of publishers like Hindi Sahitya Sadan there has been an upswing. The genres they publish include poetry, plays, literature, biographies, history, health, music, politics, children’s books and religion in Hindi, English and Sanskrit. The Delhi based publisher isn’t accepting submissions or book ideas. You can contact them via email for information. Established in 1988 by B.L. Bansal, Sharada was a publisher of historical and archaeological books. Over the years it added to its portfolio by working with eminent authorities, researchers, authors and poets. Going beyond the conventional subjects and experimenting with edgy topics, they have always tried to present an offbeat view and idea. Regional literature has much scope to expand and express than English as is evident by their bestselling Hindi books. Today some of the subjects and topics they print include culture, history, Hindi, Sanskrit literature, art, religion, philosophy, Ayurveda, architecture and mathematics. They are located in Delhi and not accepting submissions currently. Write to them via email to learn more about possible reading periods. Started in 1991 in Delhi, Aakar Books was initially a library supplier and bookseller. It became a publisher in 2001 when it saw a need for academic and scholarly material for students, colleges and universities. It has continued to find, print and publish striking, relevant material on a plethora of topics in Hindi and English. They want to urge people to debate and discuss on real issues hence their books are thought provoking. Experts, researchers and educators are consulted on non-fiction before publishing a book. A team of dedicated editors and designers work to ensure your book is made the way you want it to be. They have worked with authors from all over the world on topics such as Political Science, economy, literature, media, gender studies, art, culture, history, mathematics, environment, religion, fiction and sociology in Hindi and English. You can send a publishing proposal via email to them. Formed in 1982 in Delhi, Ratna Sagar is one of the leading children’s books publishers in India. Named after a library of the famed and ancient Nalanda University, the publisher is a true connoisseur of literature and writing. Shaping the minds of our future generation is a vital task and something they take seriously. Using stories as teaching materials, a stage to teach values and morals they pass on essential traditions and ideas to the children. Ratna Sagar holds workshops and seminars on a consistent basis on education, teaching, creative communication and writing. They also publish dictionaries and have partnered with various global publishers to bring their books to India. The publisher isn’t accepting submissions at present but you can email them. Since 1989, Low Price Publications have tried to make rare, special books available to the public at cost effective prices. Teachers, educators and students need a lot of academic material. The textbooks are very expensive and remain unaffordable to a chunk of the population. LPP started reprinting books and textbooks in a simple language and selling them at cheaper costs. The genres they print include Ayurveda, Biographies, History, India, Buddhism, Medicine, Literature, Hindi, Education, Arts, Philosophy, Political Science and Religion. They also have an option for self-publishing if you are interested. You can contact them via email. In 1958, Prabhat Prakashan was formed as a Hindi publisher in Delhi. In a history spanning 60 years and counting, they have managed to publish 4500 titles! Using the immense talent residing in local authors and writers, they have captured the regional market. Hindi books were restricted to pulp fiction or classics but Prabhat has added a range of genres. The readership has also evolved over the years and they have managed to understand what they want. Authors who have worked with them include the formidable former President of India Dr. A.P.J Abdul Kalam, Sir V.S. Naipaul, L.K.Advani, Atal Bihari Vajpayee, Verghese Kurien and Arun Shourie. They publish topics such as biographies, food, cookery, education, fiction, yoga, health, memoir, travel, novel, drama, politics and poetry. They are not accepting submissions presently. Reach out to them via email. A top notch children’s book publisher in Delhi, Dreamland is a dedicated and persistent publisher. Leaving no stone unturned, they focus on all aspects of a child’s life right from education, development of skills to entertainment and learning. Children have the amazing ability to absorb information, ideas and values faster than you can believe. It is crucial that we offer them the right tools that support their growth. While educational materials are required reading, giving your child a book of stories in regional languages can aid his/her growth process. India has a massive treasure trove of folk tales, local and regional lore that can be translated and written in novels or books so children and kids can enjoy them. Interesting, bright and vivid illustrations are added to novels and books so kids can enjoy the visuals. They publish activity books, learning materials, story books, and novels for children, religion and reference books in Hindi and English. They don’t accept unsolicited manuscript submissions but you can write them an email to learn more. A prominent educational publisher in Delhi, New Saraswati House is radically change the way we read. All its books are thoroughly researched, vetted and edited by experts and professionals. The material is intensive but the language is simple and to the point. They also publish general books that include Hindi, English fiction and story books. Illustrated novels and books are also printed by them. The best part is they distribute Hindi and English titles across the globe so everybody can learn more about India and its culture. Students from various grades are assisted by their teaching material. You can send them a book proposal using their online form. Any Indian student who has prepared for a competitive exam is familiar with Kitab Mahal. But a lot of you don’t know that they even print and publish fiction. Founded in 1939 by Shri Niwas Agarwal, they publish creative, literary, fiction, educational and academic books in Hindi and English. They have offices in Allahabad and Delhi. They are always seeking new or fresh voices in Hindi literature. Their vetting process is extensive and time consuming so you will have to be patient. You can submit a book proposal by using their online form. Do you know of any other Hindi novel publishers in Delhi? Please tell us about them in the comments box below! Very good in Translating any English novel in Hindi. Very good Hindi editing, Proof reading . Creative writing is my strength.